Over the past three years a dedicated group of us at the Oregon Timber Trail Alliance have invested thousands of volunteer hours to launch and improve the OTT. Now we’re ready to take it to the next chapter and we need your help. If we built a 670 mile long trail from scratch it would cost $88.4 MILLION and take decades. Instead we opted to find the best route possible using existing trails. But there are some gaps—over the next two years the OTTA has 6+ miles of new subalpine singletrack planned and approved to be built over the crest of the Cascade Range. These are important connections creating links between forests, trail networks, and communities where there are none currently. Not to mention they’re going to be a blast to ride. Unfortunately, trails aren’t cheap—these projects will cost roughly $150,000: or $5 for every foot of trail. 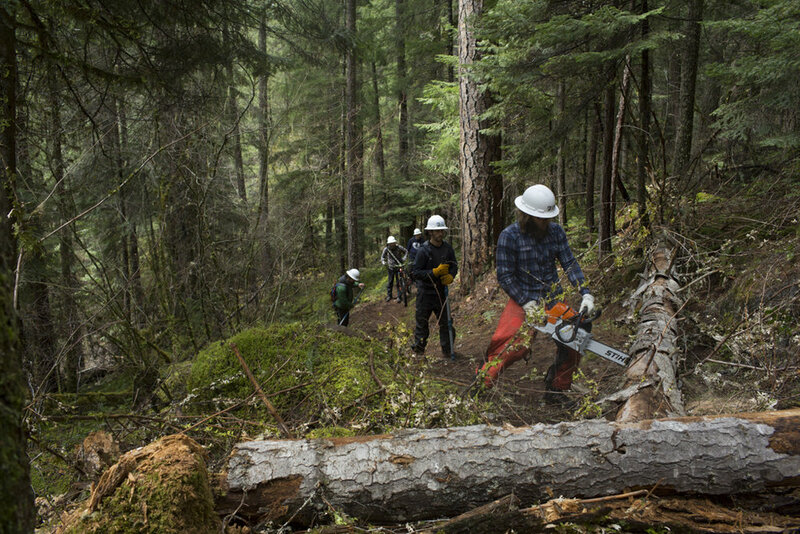 Every $5 covers a foot of new singletrack: for a small $25 donation you can sponsor five feet of the Oregon Timber Trail through Oregon’s Cascade Range. Our goal is to raise $25,000 by the end of the year to build the first mile of these historic trails. Stay tuned—we’ll be sharing project details in the coming weeks so you can get as excited about them as we are!